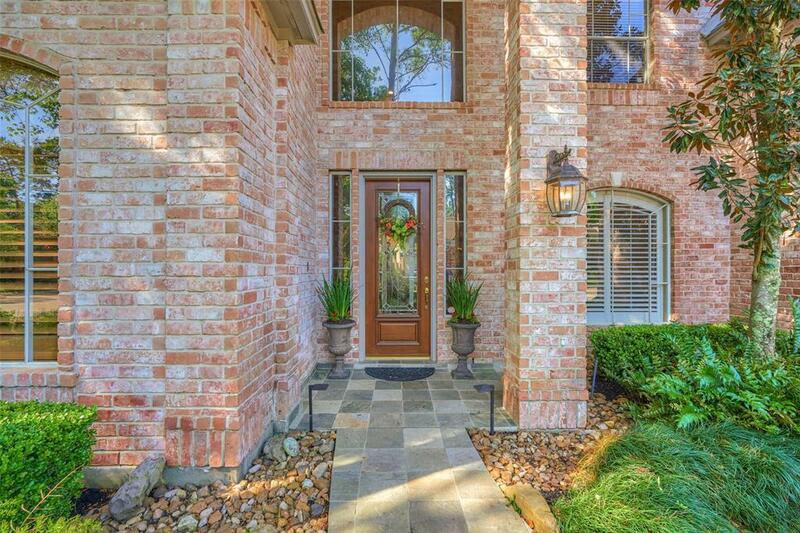 FULLY RENOVATED / designer selections - gorgeous 2 story custom in cozy, upscale subdivision of Fairbranch, Alden Bridge. 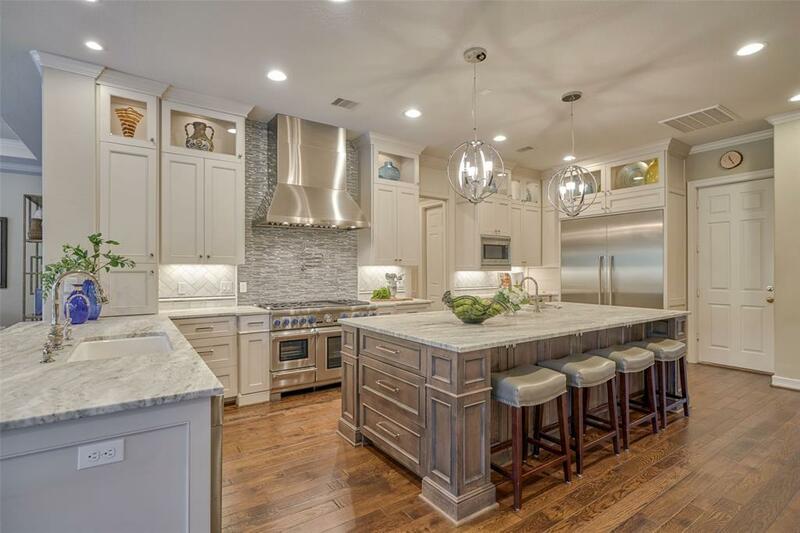 Exquisite 2015 transitional kitchen completely re-designed space - butler's pantry / laundry / mud room / pantry - quartz counters, massive island, 48 stainless Pro-Grand Commercial Thermador Range & warming drawer, addn Bosch double ovens, vegetable sink, barn door, coffee bar, floating shelves, wood floors UP & DOWN, dry bar w/ U-line wine frig, wine storage - Designer Cindy Aplanalp, Chairma. 2012 ALL baths renovated by Matt Powers - granite, lighting & plumbing fixtures - gorgeous freestanding tub, glass wash basins in master. 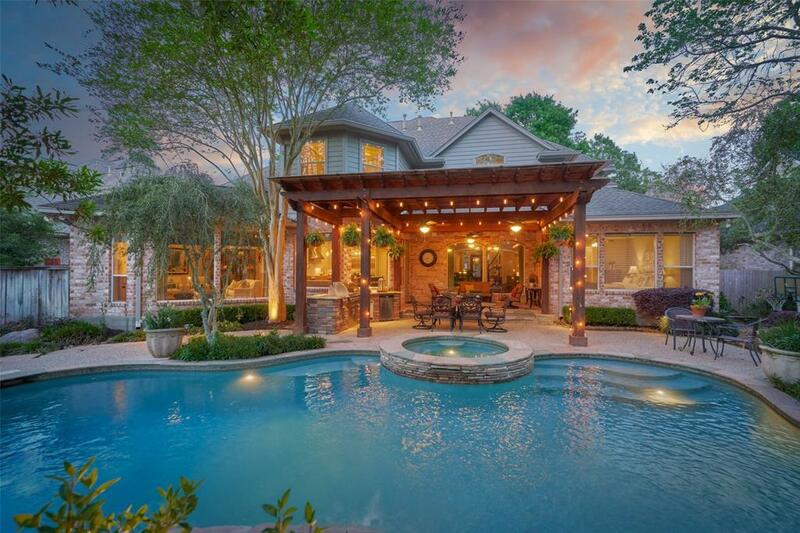 Heated pool / spa, cascading water features, fire pit, covered pergola, summer kitchen. Designer window treatments, sealed fireplace w/ quartz stacked brick, smart technology for HVAC, pool & alarm. 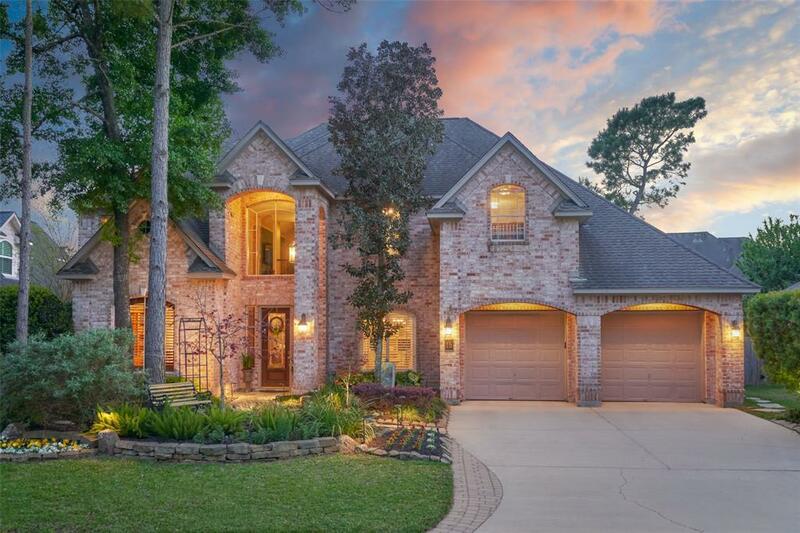 Oversized 2 car garage w/ amazing built-ins, epoxy floors. Large walk-in attic, custom storage throughout. Approx $500,000 in renovations.